Working out with a partner might be the way to stay motivated and achieve success. 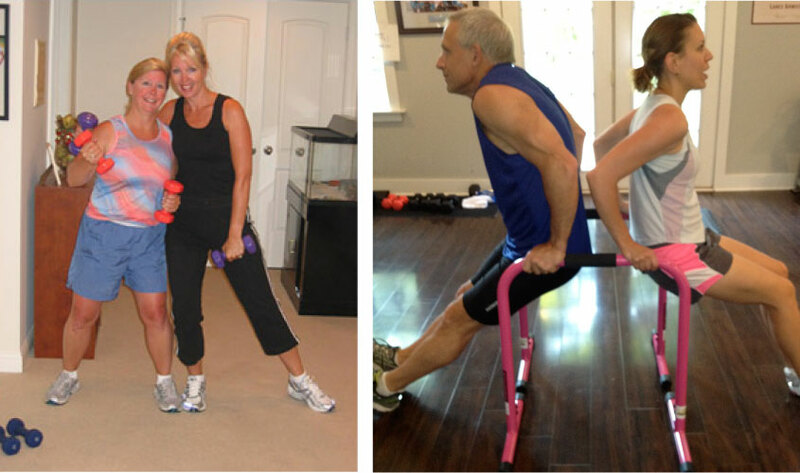 A fun mode of training that makes each person accountable in a ﬁtness program. Partner sessions are 35 minutes in length and tailored to the ﬁtness level of each participant. Research shows that individual metabolism slows down as we get older and we lose muscle mass in the process. The good news is that strength training can help to counter the effects of muscle loss and make you feel better. Essential Fitness, LLC workouts are designed to work the whole body and concentrate on strength, core and balance concepts. Sport speciﬁc movements are also added into a workout based on a clients sport of interesest or needs. We call these workouts, “Fusion Workouts” which target a combination of muscles to help burn calories, build lean muscle mass and keep your metabolism geared up. Workouts are always changed up to counter any muscle adaptation.